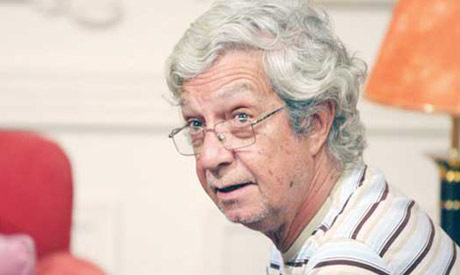 Renowned Egyptian film director Nader Galal died Tuesday at the age of 73 after a long struggle with various health problems. Galal is one of the most famous Egyptian directors of the last half-century with more than 50 films and a number of television series to his name. He was born in Egypt in 1941 to an artistic family. His mother was producer and actress Mary Queeny and his father, director Ahmed Galal. Although he first studied commerce and graduated with a bachelors degree in 1963, he later pursued his passion for cinema and enrolled into the Higher Cinema Institute, graduating with a diploma in film directing in 1964. Galal's long resume includes collaborations with prominent comedian Adel Imam such as Al-Irhaby ("The Terrorist"), El-Wad Mahrouz Beta'a El-Wazir ("Mahrous, the minister's stooge"), Salam Ya Sahby ("Goodbye my friend") and the Bekhit wa Adila film series. He has also worked extensively with Nadia El-Gendy who was an active actress during the 80s and 90s in Egyptian cinema. Galal started his film career as an assistant director of Al-Shaqiqan ("The Brothers") in 1965. His last work was the Al-Aqrab television series. His son – named after his grandfather Ahmed Galal – is also a director.